Hilarious. And I mean it. I see Natalie throwing herself all around the house and all I can think of is Tom Cruise which is so bizarre… but here we are! 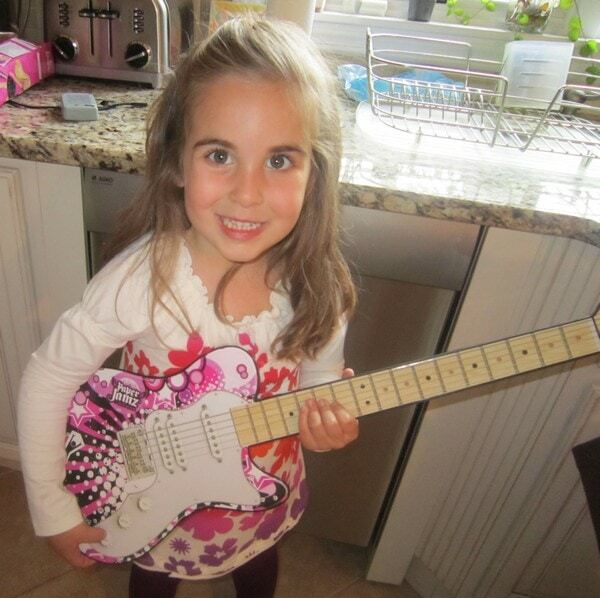 Natalie is just loving her Paper Jamz guitar. This product is one that is both affordable and FUN. Let’s talk about the magic. The circuit-embedded paper allows you to strum the light instrument and create music. This isn’t a real guitar – it’s a paper version of a guitar BUT it plays like the real thing. *Freestyle: play real chords – create your own songs! Available on Amazon for $25!! Now I just have to get my son one because he REFUSES to play with the pink one. When did he become such a “boy”? UGH! !